moving on: NATURE’S THREADS Exhibition news! 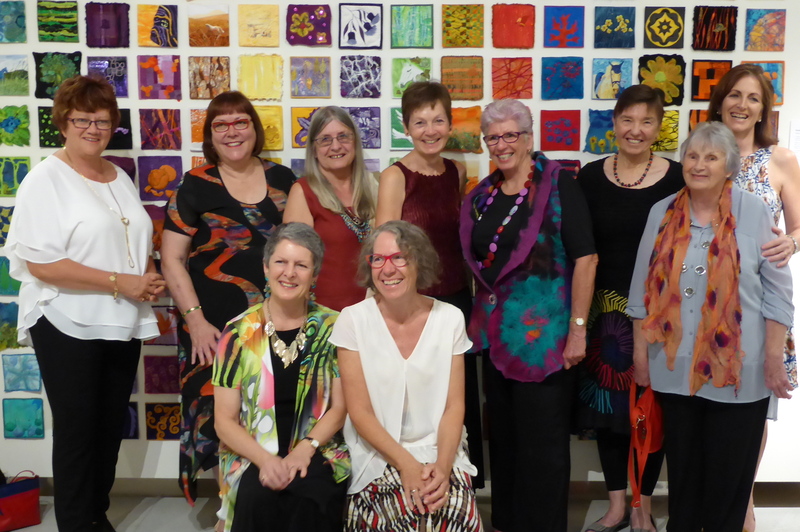 Nature’s Threads opened at the Pine Rivers Art Gallery: https://www.moretonbay.qld.gov.au/general.aspx?id=4294969050 on 16th April however the Official Opening by the deputy mayor of Moreton Bay Regional Council was on 24th April at 6 pm. Kay Haerland did us the honour of being our guest speaker, and we all had a great night! Here we are in front of our “Sinchies” display: 6″ textile pieces following a colour sequence chosen more or less randomly, that were a “cinch” to make! 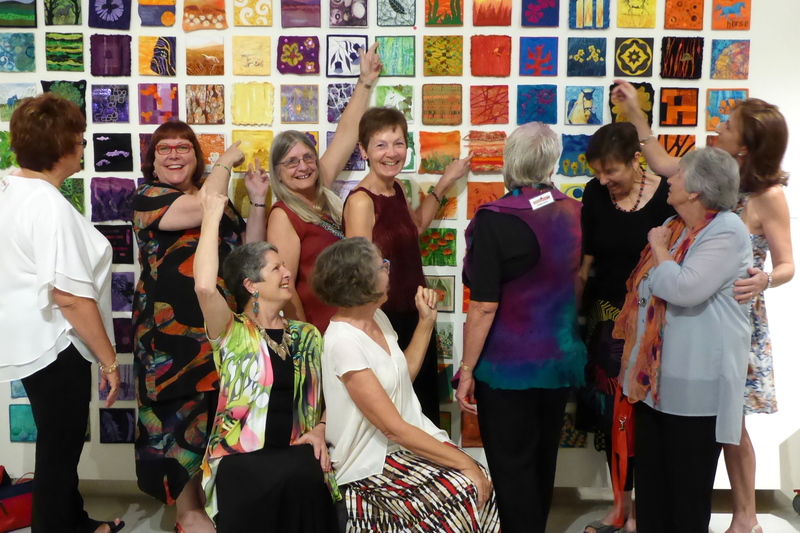 The exhibition is looking fantastic – the Pine Rivers Art Gallery curator has done a wonderful job and we are all delighted with the display. More later, with photos! If you live in SE Queensland and Brisbane environs especially, this exhibition is well worth a visit! There are also some workshops – see the link above for more details. This entry was posted in Textile Art. Bookmark the permalink.